The one simple definition of an intensive milk feeding program for preweaned dairy calves is probably not possible. 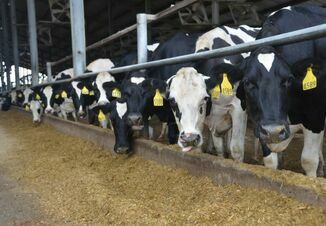 What is the baseline or standard milk feeding program? Thirty years ago it was two quarts of either milk or milk replacer fed twice daily. That usually delivered 1 pound of milk replacer powder daily. Twenty years ago it was the same. I am not sure but it may be the same on some dairies in 2016. 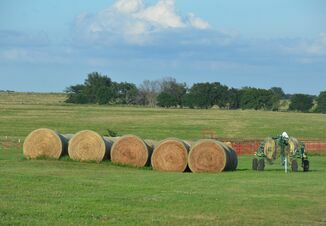 Let's compare this to three feeding programs reported in a recently published research project. The lowest ration is 45% higher than the "standard" or baseline ration. Thus, this might be called an "intensive" feeding program. Note that the "middle" ration feeds at a much higher rate for four weeks and then starts stepping down until it levels out at 0.7 lb. per day. One of the consequences of higher milk/milk replacer feeding rates is a delay in consuming calf starter grain. My experience over several years was as I edged up in my milk replacer feeding rates I added days to when calves started regularly eating grain. I followed the "middle" ration program for several years. I dropped from 2# to 1# powder fed daily as soon as calves were regularly eating about 1/2 quart or 1/2 lb. of grain daily for several days in a row. Most of my calves compensated easily by eating a greater amount of grain. They were eating around 5 lb. of grain daily before they went off milk entirely one to two weeks later. However, it was significant that not all calves behave the same way. If I recall correctly about 20 percent of the calves needed a few extra days before their initial grain intake came up to the minimum of one-half quart a day. I had to put a tag on their hutches so we would remember to continue the regular milk feeding. I think being flexible on the weaning program helped me have healthier calves in the transition pens. 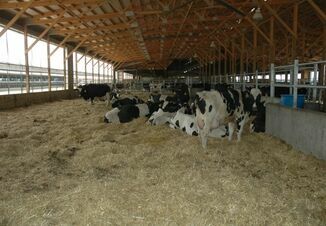 To regularly follow Sam Leadley's "Calves with Sam" blog, visit http://dairycalfcare.blogspot.com/. Could robots save you money?